The wait period when you know something cooking delicious in your kitchen makes you even more hungry !! That’s what i observed in my husband case 🙂 You start drooling literally when you being greeted with the fragrance of golden fried shami kebabs. Take all the ingredients from top to water in the above list and pressure cook them for two whistle. Open and cook till all the water has evaporated.Discard cinnamon stick,cardamoms from the mixture.cool it and make a paste of it adding coriander leaves ,green chilies and cumin. 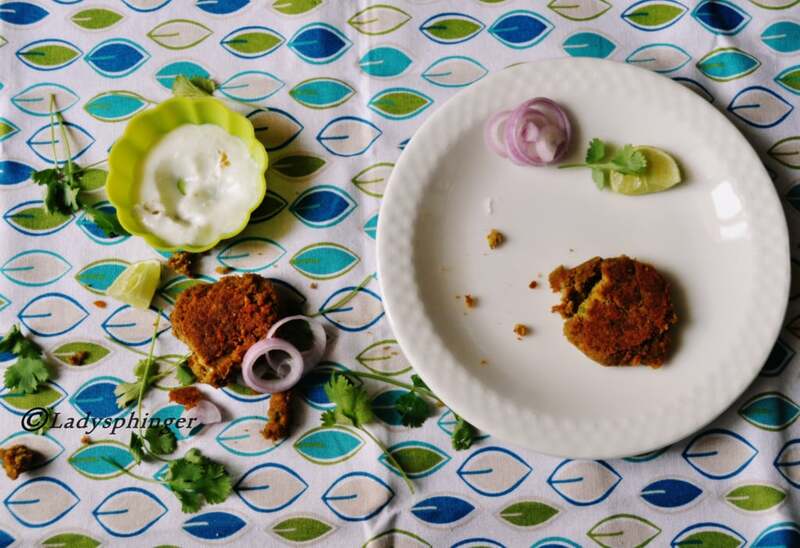 Divide the mixture equally into lemon-sized portions and shape each of them into patty.Deep fry them in hot oil. To prepare the dip ,just mix all the ingredients.You can add 1/2 tsp red-chili paste if you want more spicy kick ..Enjoy the hot kebabs with your dip.